Complaintsboard.com and it’s affiliated sites as listed below represents a present and imminent threat to authentic consumer advocate group such as scamFRAUDalert, Artist Against419, FraudWatchers.com, Jowein, scamwarners.com and other scam fighting sites. The practices of manufacturing complaints are unacceptable and just plain outright unethically. These scumbags should be stop. 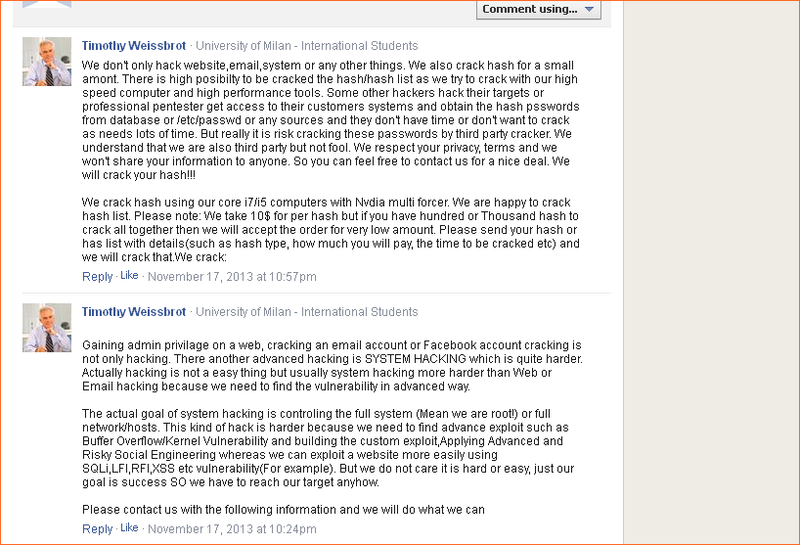 scamFRAUDalert have observed some complaints posted on complaintsboard.com are manufactured i.e. posted by commercial spammers. The Operators of Complaintsboard.com also engage in the promotion of unapproved online pharmacy websites – promoting the sale prescription drugs online without a Doctor prescription. Be aware! To save our time and prevent our company from unnecessary expenses, in case of legal threats, all information posted about specific person or company will be moved to tens affiliated websites. As a result, the first page of Google Search Results will be filled with consumer reports about your business and related people. For more information see our Terms of Service. As a business owner, it pains me to see all sorts of businesses being slammed on this website called ComplaintsBoard.com . Sure, it has become a really popular avenue for consumers to vent their frustrations on businesses who have done them wrong. But… the scary part is that vicious competitors are now using this vehicle to slander other legitimate businesses. I have seen so many fake-sounding complaints about businesses on this website. Where is their sense of decency? How would you like your competitors to slander your site and post fake complaints about you? And you, Elizabeth Arden, are you getting richer and richer everyday while these businesses are hurting? I hope that you sleep really well tonight? * Western District of Missouri. Before RILEY, Chief Judge,1 SMITH and SHEPHERD, Circuit Judges. Court of Appeals for the Eighth Circuit on April 1, 2010. complaint included six defendants; however, the Johnsons located and served only InMotion Hosting, Inc. (“InMotion”), Melanie Lowry, and Kathleen Heineman. contacts with the State of Missouri to be subjected to personal jurisdiction in Missouri. below, we disagree and affirm. place of business is located in Missouri, and the Johnsons are its sole members. have a website with the web address http://www.CozyKittens.com. InMotion, Lowry, and Heineman in Putnam County, Missouri. Counts I, II and III allege that all six defendants conspired to use http://www.ComplaintsBoard.com to post false statements about the Johnsons, including statements that the Johnsons kill cats, the Johnsons “rip off” cat breeders, the Johnsons steal kittens, the Johnsons’ cats and kittens are infected, and the Johnsons are con artists. The Johnsons assert that they requested all defendants to remove the statements but that the statements were not removed for more than 48 hours. The Johnsons assert that they suffered lost sales of kittens and cats, lost revenue and lost goodwill and will continue to suffer damages because of the statements posted on the interactive website. http://www.ComplaintsBoard.com, Michelle Reitenger or http://www.ComplaintsBoard.com. based on lack of personal jurisdiction and insufficient service of process. Heineman and InMotion also asserted improper venue as an additional ground for dismissal. Heineman is a resident of the State of Colorado and has been since 1981. Heineman is a cat breeder and also works as an accountant. In both capacities, she works out of her home in Colorado. She maintains no offices in Missouri, owns no property in Missouri and does not pay taxes in Missouri. She also alleges that she does not own any domain name registrations and does not own or operate any website. However, the website, http://www.BoutiqueKittens.com, and the related cat breeding and selling business are licensed by the State of Colorado to Heineman, and thus for the purpose of this appeal, we will assume that Heineman owns the website in question. in March 2006. The Johnsons never employed Heineman or paid her a salary. She provided administrative assistance to the Johnsons from her home office in Colorado, including proofreading services and other miscellaneous work on an intermittent basis, such as helping them to acquire cats. Between 2002 and 2006, the Johnsons contend that Heineman purchased about 16 cats for them from breeders throughout the United States. Heineman did not profit from the purchase of these cats. Some of these cats were shipped to Heineman in Colorado and then eventually shipped to Susan Johnson in Missouri; other cats were picked up from the sellers directly by the Johnsons or their relatives. In 2002, Heineman twice delivered cats to the Johnsons in Missouri. During the course of their relationship, the Johnsons contend that they shipped seven cats to Heineman and charged her only for their out-of-pocket expenses. from the Johnsons on http://www.CozyKittens.com for a fee of $100 per kitten advertised. The Johnsons’ website then listed Heineman’s email address as the contact email for persons interested in those cats. These advertisements were not targeted to Missouri residents, and Heineman did not place any cats or kittens or do any other business in Missouri. Heineman advertised approximately 50 cats in this manner. Heineman asserts that she has not posted or authorized anyone else to post anything about the Johnsons on ww.ComplaintsBoard.com or on any other website. internet. The website is interactive, permitting and encouraging individuals to post complaints about businesses and business owners. Individuals seeking to post complaints on the website are required to register with the website and provide identifying information, such as their name and email address. not have any bank accounts or telephone listings in Missouri, has never paid taxes in Missouri, and has never transacted business in Missouri. Lowry asserts that she has never done business with the Johnsons, does not know them, and has only spoken to Susan Johnson one time on the telephone—a call initiated by Susan Johnson. included statements that Susan and Robert Johnson had sold a breeder cat without providing the papers, offered a refund but refused to pay it, stolen money from their customers, and fed their cats Tylenol, causing them to suffer horrible deaths and pre-death injuries. The record contains one alleged posting by Lowry on http://www.ComplaintsBoard.com. That alleged posting does not mention Missouri, and there is no other evidence in the record indicating that the focal point of this particular posting, or any of Lowry’s other postings, was Missouri. Missouri default judgment was filed against Lowry on September 22, 2008. Lowry filed a motion to set aside the judgment on November 12, 2008.
citizenship. Heineman filed a motion to dismiss contending that she was not properly served and that the district court had improper venue and lacked personal jurisdiction under Federal Rule of Civil Procedure 12(b)(2). The district court granted Heineman’s motion for lack of personal jurisdiction. The Johnsons then filed a motion for an order of default against InMotion, which had not yet filed any pleadings in the district court. was not properly served, the district court did not have venue, the complaint failed to state a claim for relief, it had insufficient contacts with Missouri to be sued there, and Missouri was an inconvenient forum. InMotion did not raise the CDA as a defense. The district court raised the CDA sua sponte in its order granting InMotion’s motion to dismiss. complaint against her, claiming that she was not properly served and that the district court lacked personal jurisdiction because she had insufficient contacts with the State of Missouri. In the same motion Lowry moved to set aside the default judgment on liability pending against her. prejudice and dismissing the claims against Lowry and Heineman without prejudice. The district court found that Lowry and Heineman had insufficient contacts with the State of Missouri to be subjected to personal jurisdiction there and that the CDA barred claims against InMotion. The district court also set aside the state court default judgment against Lowry under Federal Rule of Civil Procedure 60(b) but made no specific finding in support of that ruling. (3) dismissing the claims against Lowry for lack of personal jurisdiction; and (4) abused its discretion in setting aside the default judgment against Lowry. claims after concluding InMotion is immune under the CDA. The Johnsons contend that 47 U.S.C. § 230(c)(1) and (e)(3) merely provide that a provider of internet services shall not be treated as the publisher or speaker of information on the internet provided by another party but does not immunize a provider from suit. The Johnsons assert that Missouri law provides for joint liability where a wrong is done by concert of action and common intent and purpose. According to the Johnsons, the CDA would only bar actions against website operators deemed to be the “publisher or speaker” of defamatory material. immune from suit under the CDA. Additionally, InMotion asserts that it maintained no control and had no influence over the content that the Johnsons alleged was posted on http://www.ComplaintsBoard.com by unrelated third parties. Because of this, InMotion maintains, it could not have “acted in concert” or “intentionally inflicted emotional distress” in a manner that caused any damage to the Johnsons. review de novo.” Minn. Supply Co. v. Raymond Corp., 472 F.3d 524, 537 (8th Cir. interactive computer service.” Id. at § 230(f)(3). responsible for information that third parties created and developed. See Fair Hous. information was created by third parties and not required by the website ISP). Chevrolet, Ltd. v. Consumeraffairs.com, Inc., 591 F.3d 250, 254 (4th Cir. 2009). law that is inconsistent with this section. ‘federal immunity to any cause of action that would make service providers liable for information originating with a third-party user of the service. '” Almeida v. Amazon.com, Inc., 456 F.3d 1316, 1321 (11th Cir. 2006) (quoting Zeran v. Am. Online, Inc., 129 F.3d 327, 330 (4th Cir. 1997)). The district court, following majority circuit precedent, held that § 230(c)(1) blocks civil liability when web hosts and other ISPs refrain from filtering or censoring the information that third parties created on their sites. Green v. Am. Online, 318 F.3d 465, 471 (3d Cir. 2003) (holding that under the CDA the defendant ISP is not liable for failing to monitor, screen, or delete allegedly defamatory content from its site). Ben Ezra, Weinstein & Co. v. Am. Online, Inc., 206 F.3d 980, 986 (10th Cir. 2000) (finding that defendant ISP was immune to the defamation claim under the CDA whenmit made its own editorial decisions with respect to third-party information published on its website); Zeran, 129 F.3d at 332–34 (holding that the CDA barred claims against defendant ISP that allegedly delayed in removing defamatory messages posted by unidentified third party, refused to post retractions of those messages, and failed to screen for similar postings thereafter). (holding that “§ 230 of the Communication[s] Decency Act errs on the side of robust communication and prevents the plaintiffs from moving forward with their claims” that a company that allowed users to access the internet via its computers could be held liable for the actions of one of those users). third parties to place ads in violation of the Fair Housing Act on its website if the ISP did not induce the third party to place discriminatory ads. Id. at 671–72. seeking to hold a service provider liable for its exercise of a publisher’s traditional editorial functions—such as deciding whether to publish, withdraw, postpone or alter content—are barred”). § 230(c)(1), and the district court properly dismissed the claims. Heineman purposefully directed internet activities at Missouri citizens. The Johnsons also assert that the record establishes personal jurisdiction under the Missouri long arm statute. because they waived any opposition by not filing a timely objection. In the alternative, Heineman argues that the district court correctly ruled it lacked personal jurisdiction over her. According to Heineman, the record does not reflect that she had systematic or continuous contacts with Missouri or, even if she did, that they were aimed or purposefully directed at Missouri. the district court’s decision to grant Heineman’s motion. Heineman contends that the Johnsons have waived any challenge to the district court’s order dismissing her from the lawsuit because they failed to file a timely opposition to the motion to dismiss at the district court. not file a timely response. Instead, two weeks after their deadline passed, the Johnsons filed a motion for additional time. The Johnsons then filed a response to Heineman’s motion before the district court ruled on the Johnsons’ motion for additional time. An affidavit from Susan Johnson was attached with the response. The district court denied the Johnsons’ motion for additional time and struck the response from the record. The district court subsequently granted Heineman’s motion to dismiss, finding that the Johnsons did not respond in a timely manner, but nevertheless, “out of caution,” the district court stated that it considered Susan Johnson’s affidavit before ruling on Heineman’s motion to dismiss. “It is a well-established rule that issues not raised in the trial court cannot be considered by this court as a basis for reversal.” Edwards v. Hurtel, 724 F.2d 689, 690 (8th Cir. 1984) (per curiam). “The primary purpose of the rule is promptly to inform the district judge of possible errors, and thus give the judge an opportunity to reconsider the ruling and make desired changes.” Id. This rule is followed “in all but exceptional cases where the obvious result would be a plain miscarriage of justice or inconsistent with substantial justice.” Kelley v. Crunk, 713 F.2d 426, 427 (8th Cir. 1983) (per curiam). authenticating the exhibits. 397 F.3d 596, 601 (8th Cir. 2005). The defendant made a motion to strike the exhibits, and the plaintiff did not oppose. Id. The district court granted the motion to strike, and on appeal the plaintiff contended that the district court erred in striking the motion. Id. We held that “[a]bsent exceptional circumstances, we cannot consider issues not raised in the district court.” Id. Shanklin the plaintiff did not even attempt to file an out-of-time opposition. We find merit in this argument, because the district court acknowledged that it considered some opposition to the motion—Susan Johnson’s affidavit—which the Johnsons clearly submitted for the purpose of opposing the motion to dismiss. Therefore, the trial court had an opportunity to “reconsider” the issue of whether to dismiss knowing that the Johnsons opposed dismissal. In fact, in the district court’s order, it specifically stated that “out of caution, and because the Court must construe the jurisdictional facts in the light most favorable to the Johnsons, the Court has considered the affidavit of Sue Johnson . . . . ” Therefore, we hold that the Johnsons sufficiently preserved their argument for appeal. Rule of Civil Procedure 12(b)(2) are reviewed de novo. First Nat’l Bank of Lewisville, Ark. v. First Nat’l Bank of Clinton, Ky., 258 F.3d 727, 729 (8th Cir. 2001). “If the District Court does not hold a hearing and instead relies on pleadings and affidavits, then we must look at the facts in the light most favorable to the nonmoving party and resolve all factual conflicts in favor of that party.” Epps v. Stewart Info. Serv. Corp., 327 F.3d 642, 646–47 (8th Cir. 2003). Berry v. Berry (In re Marriage of Berry), 155 S.W.3d 838, 840 (Mo. Ct. App. 2005)m(quoting Wray v. Wray, 73 S.W.3d 646, 649 (Mo. Ct. App. 2002)). “The evidentiary showing required at the prima facie stage is minimal. . . . ” Willnerd v. First Nat’l Neb., Inc., 558 F.3d 770, 778 (8th Cir. 2009) (internal quotations and citation omitted). parties. Id. The first three factors are primary factors, and the remaining two factors are secondary factors. Id. The third factor distinguishes whether the jurisdiction is specific or general. Digi-Tel Holdings, Inc. v. Proteq Telecomm., Ltd., 89 F.3d 519, 523 n.4 (8th Cir. 1996). We must look at all of the factors in the aggregate and examine the totality of the circumstances in making a personal-jurisdiction determination. Northrup King Co. v. Compania Productora Semillas Algodoneras, S.A., 51 F.3d 1383, 1388 (8th Cir. 1995). (3) The commission of a tortious act within this state. . . .
“general” or “specific” jurisdiction. Davis v. Baylor Univ., 976 S.W.2d 5, 12 (Mo. Ct. App. 1998). A court obtains general jurisdiction “against a defendant who has ‘continuous and systematic’ contacts with the forum state, even if the injuries at issue in the lawsuit did not arise out of the defendant’s activities directed at the forum.” Dever v. Hentzen Coatings, Inc., 380 F.3d 1070, 1073 (8th Cir. 2004) (quoting Helicopteros Nacionales de Colombia, S.A. v. Hall, 466 U.S. 408, 415–16 (1984)). Specific jurisdiction over a defendant is exercised when a state asserts personal jurisdiction over a nonresident defendant that “‘has purposefully directed [its] activities at [Missouri] residents'” in a suit that “‘arises out of’ or ‘relates to’ these activities.” Lakin v. Prudential Sec., Inc., 348 F.3d 704, 707 (8th Cir. 2003) (quoting Burger King Corp. v. Rudzewicz, 471 U.S. 462, 472 (1985)). summarized as follows: She purchased cats in Missouri for delivery to the Johnsons; personally delivered cats to the Johnsons in Missouri on two separate occasions;conducted her cat breeding and sale business with the Johnsons, using the Johnsons’website—operated from the Johnsons’ location in Unionville, Missouri—for a period of about four years, which ended two years before this lawsuit was initiated; and engaged in numerous telephone conversations and email exchanges with the Johnsons during that four-year period. Colorado on the Johnsons’ website, advertising approximately 50 cats thereon. breeders throughout the United States. These cats were generally shipped to Colorado, then eventually shipped to Missouri. Heineman never worked as an employee of the Johnsons. sufficient contacts between Heineman and Missouri to support general jurisdiction. infrequent trips to Missouri to deliver cats. See Johnson, 444 F.3d at 956–57 (holding that evidence that nonresident party collaborated with a resident and had a publishing relationship with another did not establish general jurisdiction); see also Helicopteros, 466 U.S. at 418 (“[W]e hold that mere purchases, even if occurring at regular intervals, are not enough to warrant a State’s assertion of in personam jurisdiction over a nonresident [party] in a cause of action not related to those purchase transactions.”). Heineman’s contact with Missouri was neither continuous nor systematic. systematic contacts with Missouri, we turn to the question of specific jurisdiction. occurred within or had some connection to the forum state, meaning that the defendant purposely directed its activities at the forum state and the claim arose out of or relates to those activities.” Steinbuch v. Cutler, 518 F.3d 580, 586 (8th Cir. 2008) (citing Burger King Corp., 471 U.S. at 472). Act analysis. See infra. The question for both sets of actions is whether Heineman “purposefully directed” her internet activities at the State of Missouri. jurisdiction analysis, we have found the Zippo test instructive. Lakin, 348 F.3d at 710–11. In Zippo Mfg. Co. v. Zippo Dot Com, Inc., the court examined the issue of whether a website could provide sufficient contacts for specific personal jurisdiction. “interactive” website, users may actually only post information. There is no interaction between users and a host computer; the site merely makes information available to other people. The website’s accessibility in Missouri alone is insufficient to confer personal jurisdiction. that ‘the brunt of the injury would be felt by [them] in the State in which [they] live [ ] and work[ ]’ and intentionally targeted the forum state.” Steinbuch, 518 F.3d at 586 (quoting Calder, 465 U.S. at 789–90). only where the plaintiff makes a prima facie showing that the defendant’s acts (1) were intentional, (2) were uniquely or expressly aimed at the forum state, and (3) caused harm, the brunt of which was suffered—and which the defendant knew was likely to be suffered—[in the forum state]. Lindgren v. GDT, LLC, 312 F. Supp. 2d 1125, 1132 (S.D. Iowa 2004) (internal quotations and citation omitted). We have stated that this test “allows the assertion of personal jurisdiction over non-resident defendants whose acts are performed for the very purpose of having their consequences felt in the forum state.” Dakota Indus., Inc. v. Dakota Sportswear, Inc., 946 F.2d 1384, 1390–91 (8th Cir. 1991) (internal quotations and citation omitted). Heineman’s alleged acts were not so performed. The Johnsons allege that Heineman stated on http://www.ComplaintBoards.com that “Sue Johnson and Cozy Kittens operated from Unionville, Missouri, where they killed cats, sold infected cats and kittens, brutally killed and tortured unwanted cats andoperated a ‘kitten mill’ in Unionville, Missouri.” Although we accept this allegation as true,5 alone, it fails to show that Heineman uniquely or expressly aimed her statements at Missouri. The statements were aimed at the Johnsons; the inclusion of “Missouri” in the posting was incidental and not “performed for the very purpose of having their consequences” felt in Missouri. There is no evidence that the http://www.ComplaintsBoard.com website specifically targets Missouri, or that the content of Heineman’s alleged postings specifically targeted Missouri. There is no copy of any post from Heineman, defamatory or otherwise, in the record, although at this summary judgment stage we construe the evidence in the light most favorable to the Johnsons. Semple v. Federal Exp. Corp., 566 F.3d 788, 791 (8th Cir. 2009). declined to grant personal jurisdiction solely on the basis of forum state effects from an intentional tort. Id. at 1391 (“In relying on Calder, we do not abandon the five-part [Aftanase] test . . . . We simply note that Calder requires the consideration of additional factors when an intentional tort is alleged.”). We therefore construe the Calder effects test narrowly, and hold that, absent additional contacts, mere effects inthe forum state are insufficient to confer personal jurisdiction. See Hicklin Eng’g, Inc.
v. Aidco, Inc., 959 F.2d 738, 739 (8th Cir. 1992) (per curiam). As explained, supra, there are no additional contacts between Heineman and Missouri to justify conferringpersonal jurisdiction. Posting on the internet from Colorado an allegedly defamatory statement including the name “Missouri” in its factual assertion does not create the type of substantial connection between Heineman and Missouri necessary to confer specific personal jurisdiction. Johnsons’ Lanham Act claim. The Johnsons allege that Heineman violated the Lanham Act, 15 U.S.C. § 1051 et seq.,6 by using the words “Cozy Kittens and Cuddly Cats” to advertise her cat breeding business on http://www.BoutiqueKittens.com. As noted, Heineman denies ownership of this website, but for purposes of our review of adismissed count, we assume that Heineman owns the site in question. Here, we do not decide the viability of the Johnsons’ Lanham Act claim on the merits, only whether the district court had jurisdiction to decide the claim. Missouri long-arm statute confers jurisdiction to Missouri courts for torts committed within Missouri. See Mo. Rev. Stat. § 506.500. Infringing upon a trademark, as a tort, may be grounds for personal jurisdiction under Missouri’s long-arm statute. Uncle Sam’s Safari Outfitters, Inc. v. Uncle Sam’s Army Navy Outfitters-Manhattan, Inc., 96 F. Supp. 2d 919, 921 (E.D. Mo. 2000). However, the same “minimum contacts” analysis applies to determine if the allegedly tortious act was committed within Missouri. Id. Heineman, as discussed, does not have sufficient contacts to grant general personal jurisdiction. The Johnsons argue that Heineman sells cats and kittens throughout the United States, including in the State of Missouri via advertising on http://www.BoutiqueKittens.com, thus creating specific personal jurisdiction. However, under Zippo, whether specific personal jurisdiction could be conferred on the basis of an interactive website depends not just on the nature of the website but also on evidence that individuals in the forum state accessed the website in doing business with the defendant. Zippo, 952 F. Supp. at 1125–26. Although http://www.BoutiqueKittens.com may be characterized as interactive, there is no evidence in the record that Heineman engaged in any transaction or exchange of information with a Missouri resident via ww.BoutiqueKittens.com, or that a Missouri resident ever accessed the website. We decline to confer personal jurisdiction based on only the possibility that a Missouri resident had contact with Heineman through http://www.BoutiqueKittens.com. Similarly, the Johnsons have failed to prove that http://www.BoutiqueKittens.com is uniquely or expressly aimed at Missouri; thus Calder provides no support for their Lanham Act claim. For these reasons, as well as the reasons stated supra, Part II.B.1, we hold that Heineman does not have sufficient minimum contacts with Missouri and affirm the district court’s decision to dismiss the Lanham Act claims against Heineman for lack of personal jurisdiction. Because we find there was no personal jurisdiction, we do not reach Heineman’s other issues related to service and venue. The Johnsons also contend that the district court erred by dismissing their claims against Melanie Lowry for lack of personal jurisdiction because the web activities of Lowry were purposefully directed at the citizens of the State of Missouri. We address this issue with an analysis similar to the one completed above for Heineman. The only evidence in the record relating to Lowry is an affidavit she attached to her motion to dismiss. In it, Lowry claimed that she has never been to Missouri, does not own any property in Missouri, does not have any bank accounts or telephone listings in Missouri, has never paid taxes in Missouri nor insured a risk in Missouri, and has never knowingly, regularly or continuously transacted business in the State of Missouri. Her affidavit also states that she has never done business with the Johnsons, does not know them, and has only spoken to Susan Johnson one time on the telephone—a call that Johnson initiated. The evidence supporting systematic and continuous contacts between Lowry and Missouri is thus even weaker than that for Heineman. Again applying the Aftanase factors we hold that the district court did not have general jurisdiction over Lowry. The court also did not have specific jurisdiction over Lowry. Lowry’s alleged activities related to http://www.ComplaintsBoard.com are similar to Heineman’s, except that Lowry did not include any statement related to or mentioning the State of Missouri. No statement of any kind by Lowry was purposefully directed at Missouri. We affirm the district court’s decision to dismiss the Johnsons’ claims against Lowry for lack of personal jurisdiction. Finally, the Johnsons argue that the district court abused its discretion or erred by vacating the Missouri state court default judgment against Lowry under Federal Rule of Civil Procedure 60(b). The Johnsons specifically challenge the district court’s lack of a showing of good cause. The district court, “for good cause shown,” “set aside” the default judgment against Lowry as part of its order granting Lowry’s motion to dismiss for lack of personal jurisdiction. Thus, while no findings were made or specific reasons given for setting aside the judgment, it is reasonable to surmise that the district court set aside the default judgment as void because the district court found that Missouri courts lacked personal jurisdiction over Lowry. The default judgment was filed on September 22, 2008, and Lowry filed a motion to set aside the judgment on November 12, 2008. Lowry did not reference a rule of civil procedure in her motion, but Lowry is a pro se litigant and therefore we construe her pleadings broadly. See Smith v. Hundley, 190 F.3d 852, 855 n.7 (8th Cir. 1999) (holding that pro se pleadings are afforded a liberal construction). Because Lowry specifically stated that “this is my motion to set aside the default judgment” and in the same motion argued that the court did not have personal jurisdiction, we will view her motion as a Rule 60(b)(4) motion. See Baldwin v. Credit Based Asset Servicing and Securitization, 516 F.3d 734, 737 (8th Cir. 2008) (characterizing a pro se motion that did not specify a particular rule of civil procedure as a Rule 60(b)(4) motion because the motion stated that the court did not have personal jurisdiction). process.” Baldwin, 516 F.3d at 737 (internal quotations and citation omitted). 813 (8th Cir. 2006). “Thus, while Rule 60(b) dispositions are generally reviewed for an abuse of discretion . . . an order [granting] relief pursuant to Rule 60(b)(4) is reviewed de novo.” Id. (internal citation omitted). This is not a case where Lowry lost on the merits, failed to appeal, and belatedly attempted to avoid the judgment with a Rule 60(b)(4) motion. Cf. Kocher v. Dow Chem. Co., 132 F.3d 1225, 1229 (8th Cir. 1997) (“A party may not use a Rule 60(b)(4) motion as a substitute for a timely appeal. In other words, if a party fails to appeal an adverse judgment and then files a Rule 60(b)(4) motion after the time permitted for an ordinary appeal has expired, the motion will not succeed merely because the same argument would have succeeded on appeal.”) (internal citations omitted). Rather, Lowry challenged jurisdiction from the inception of this case. The district court found that Lowry could not be subjected to personal jurisdiction in Missouri. Although we reviewed that decision on the merits in this opinion, see supra, Part II.B.2.a, for purposes of review of the district court’s decision to set aside the default judgment, we do not consider the underlying decision; we are confined to determining only whether the district court erred in granting Lowry’s Rule 60(b)(4) motion. See Three Hundred Fifty-Three Thousand six Hundred Dollars, in UnitedStates Currency, 463 F.3d at 814. Because the district court did not err in granting Lowry’s Rule 60(b)(4) motion when it found personal jurisdiction lacking we affirm the court’s decision to set aside Lowry’s adverse judgment. RIP OFF REPORTS and COMPLAINTS BOARD are currently attempting to extort payment from my company to remove negative reviews of my ecommerce business. Complaints Board posted a false complaint on 9-28-2010 about an invented product that I do not sell and used my unique company name along with a state location (Nevada) where my company is not located. Good day, hope you are doing well. My name is Janette Adams and I am a Search Engine Reputation Management (SERM) consultant at BrandRevitalize, a leading reputation management company. I am writing to inform you that your online reputation may be at risk. The above negative listing may put your brand equity and customer loyalty you’ve built at risk. Who you are online is as important as who you are offline. Imagine how frustrating it is to build rapport with a potential client, only to lose the deal when they Google your company name—accentsofsalado.com. BrandRevitalize preserves your marketing investments, customer trust and revenues by eliminating potentially fraudulent use of your brand online. Our company makes sure your online reputation is free from false malicious associations and libelous accusations. We make sure CONTROL is delivered back to you, where it belongs. In line with this, i am hoping we can schedule a time to discuss your Reactive Online Reputation Management and the amount of time needed to eliminate your negative listings in Google’s Search Engine Results Page (SERP). Are you free for a quick discussion today or tomorrow? Kindly please let me know so we can schedule a call. BrandRevitalize – Protect. Repair. Reinforce. THIS FRAUDULENT AND LIBELOUS ACTION IS EXTORTION PURE AND SIMPLE. 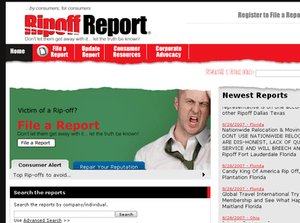 I have looked at both Rip Off Report and Complaints Board HTML code. There is no reason that the web site HTML Meta Tags and lack of supporting text would propel these two sites to the top 10 Google search results within hours or even at all. My company has received repeated emails and phone calls that have attempted to extort payment for complaint removal services. 1. Does Google give ranking preference to these extortionists? 2. Does Google have a special relationship with these complaint web sites? 3. Google has the ability to remove these web sites from their search results. Why has Google not done so? 4. Is there a Google contact email address? All replies would be greatly appreciated as it is impossible to find Google contact information anywhere on the Google site. It is impossible to report abuse to Google if Google doesn’t provide Google contact information for these serious matters.